Despite several advances in technologies, bacteria continue to be a cause for concern in both industrial and clinical settings. They present an especially difficult problem in medicine where only bactericidal strategies which are less detrimental to human health are feasible, and bacterial infection remains a leading cause of morbidity and mortality. 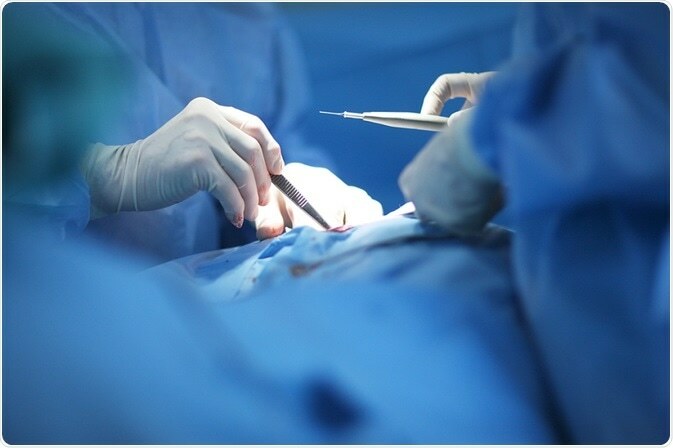 In particular, surgical procedures are linked to a high risk of infection, which is the most frequently encountered post-surgical complication. The administration of antibiotics is the primary means of prevention and treatment of bacterial infections. However, the power of antibiotics in the fight against infection is decreasing since strains of potent bacteria are developing multi-drug-resistance. Contrary to historical beliefs, it is now obvious that the majority of bacteria live in surface-bound microbial communities, instead of being free-swimming entities. When bacteria bind to the surface, they secrete adhesion proteins that offer an irreversible attachment. The bacteria continue to proliferate and form a colony that eventually leads to the formation of a mature biofilm guarded by a peptidoglycan envelope1. Such biofilms contribute to over 80% of clinical microbial infections, and hence are linked to significant expense and morbidity2. Besides the possibility of biofilms containing antibiotic-resistant strains, the ‘peptidoglycan envelope’ protects the bacteria from the body’s immune system and antibacterial agents. When compared to free-swimming bacteria, biofilm-associated bacteria are 100 to 1,000 times less susceptible to antibiotics and hence patients with biofilm infections are seldom cured by treatment with antibiotic agents, which are still being used due to lack of alternatives. Moreover, bacteria have a scope to leave the biofilm and colonize other areas throughout the body. As a result, there has been much research into the development of new broad-spectrum antibiotics as well as novel antimicrobial strategies. Nanotechnology has paved the way for the development of new types of materials with antimicrobial properties. It allows the change of the physicochemical properties of a material to achieve antimicrobial effects3. Antimicrobial nanomaterials include an extensive range of metal, metal oxide, and organic nanoparticles and hence have several modes of action. Although a range of chemical interactions occur, the end result is membrane damage which, in turn, causes loss of integrity, impaired metabolism, and eventually cell death. The advantage of nanoparticles over antibiotics is that their efficacy completely depends on contact with the bacterial cell wall; they do not have to penetrate the cell. As a result, the lethal effect of nanoparticles is exerted regardless of the specific genetics of the target bacteria and is not affected by the resistance mechanisms used by bacteria to evade antibiotics. Additionally, since the surface area to size ratio of nanoparticles is large, high activity can be achieved with a small dose, thus reducing the risk of toxicity. Hence, nanoparticles are expected to offer an effective alternative to antibiotics for the treatment of both surface bound and free-swimming bacteria. Nanoparticles could be used in antimicrobial treatments as well as in the manufacture of nanocomposite products which are appropriate for use in medical devices and materials. Bioactive glass is a type of crushed glass made from high-purity chemicals, such as phosphorus oxide, silicon oxide, and calcium oxide, which induce specific biological activity4. Moreover, by modifying the structure and composition of the glass, its physical properties, such as resorption rate, can be customized to meet a particular requirement4. Bioactive glass evokes a negatively benign immune response which has been extensively used in a variety of biomedical applications, including dental reconstruction, bone grafting, tissue engineering, and wound healing5. It can bond to either hard or soft tissue and has been proven to promote soft tissue regeneration, facilitate strong new bone growth, and improve vascularization to guarantee a healthy blood flow to the newly regenerated tissue6-8. Bioactive glass has also been mixed with dental filling materials to promote the remineralization of dental caries9. Additionally, borate bioactive glass has been demonstrated to have antimicrobial properties against a broad range of bacteria, including E-coli and MRSA10. It has been proven that bacteria are unable to adhere to bioactive glass and hence microfilms are not able to develop on its surface11. Clinical observations support this fact; no infections have been reported on bioactive glass implants11. Also, the inclusion of bioactive glass into dental filling material minimized bacterial penetration by as much as 40%, thus decreasing the rate of decay and increasing the lifetime of the restoration12. It is possible to further increase the antimicrobial action of bioactive glass by adding ions such as yttrium, silver, iodine, and selenium13. This gives the glass a wider spectrum of antimicrobial activity. The use of bioactive glass fibers to promote soft tissue repair and wound healing and the inclusion of bioactive glass in bone grafting and dental restoration composite materials to promote bone growth thus provide dual benefit — reduced risk of infection and more rapid healing. Mo-Sci manufactures implant grade bioactive glass powders of varying sizes and with specific compositions appropriate for mixing with composite materials14. Davey ME and O'Toole GA. Microbial biofilms: from ecology to molecular genetics. Microbiology and Molecular Biology Reviews2000;64(4):847–867. Hall-Stoodley L, et al. Bacterial biofilms: from the natural environment to infectious diseases. Nature Reviews Microbiology2004;2(2): 95–108. Karwowska E. Antibacterial potential of nanocomposite-based materials – a short review. Nanotechnology Reviews 2016;6(2):243254. Rahaman MN, et al. Bioactive glass in tissue engineering. Acta Biomaterialia 2011;7:23552373. Gorustovich A, et al. Effect of bioactive glasses on angiogenesis: In-vitro and in-vivo evidence: A review. Tissue Eng. Part B Rev. 2010;16:199207. Ottomeyer M, et al. Broad-Spectrum Antibacterial Characteristics of Four Novel Borate-Based Bioactive Glasses. Advances in Microbiology 2016;6:776787. Zhang D, et al. Factors Controlling Antibacterial Properties of Bioactive Glasses. Key Engineering Materials 2007;330-332:173176. Xu Y, et al. Study on the Preparation and Properties of Silver-Doped Borosilicate Antibacterial Glass. Journal of Non-Crystalline Solids 2008;354:13421346.